The moles of Duncton Wood live in the shadow of Mandrake, a cruel tyrant corrupted by absolute power. A solitary young mole, Bracken, is thrown into leading the fight to free Duncton Wood. Only by putting his trust in the ancient Stone, forgotten symbol of a great spiritual past, can he find the strength to challenge Mandrake’s darkness. When Bracken falls in love with Rebecca, Mandrake’s daughter, the moles must make life and death choices as their extraordinary search for freedom and truth begins… Together Bracken and Rebecca will embark on moving journey that will challenge them in ways they could never have imagined. But can they save Duncton before it’s too late? 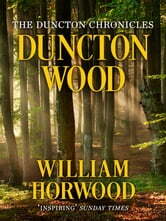 Duncton Wood is the first instalment in The Duncton Chronicles, an unforgettable six-book series now widely regarded as a fantasy classic. For readers of J.R.R. Tolkien, Brian Jacques and Richard Adams’ Watership Down, this is a quest into the heart of nature, the redemptive power of love and the triumph of spirit. 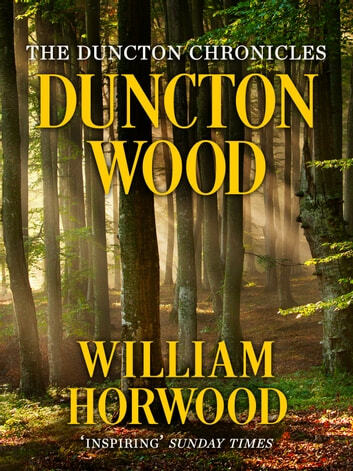 Duncton Wood is a story that I had read many years ago and at that time I was very impressed with the way William Horwood wrote this very descriptive story. William Horwood is a writer who grabs your attention and takes you on a wonderful trip through a world that is very much like our own. I highly recommend this story to those readers who like to exercise their imagination. Wonderful book, terrific series! Do yourself a favour and put the other 5 in this series on your wishlist now. It's been many years since I read (and reread) the series so I won't try to recall the tone and style specifically, I'll just say that the first two names that came to mind were Tolkien and King. Sort of High Quest with little touches of the common intimacies of everyday life that serve to keep the story (and all of our own stories) grounded.